Complete tasks at a height safely and easily with the Toolstation range of combination ladders from trusted ladder brand Youngman. 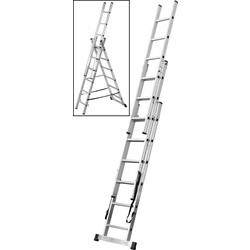 Youngman are renowned for their versatile combination ladders that are durable, reliable and easy to use with work platforms. 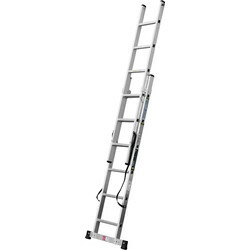 Take a look at the Youngman combination ladder, which functions as a step ladder, extension ladder and stairwell ladder in one, complete with a strong work tray. It has a maximum safe working load of 130kg and a unique sliding mechanism for easy conversion. 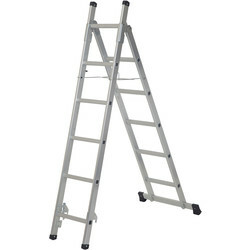 The Youngman combination ladder can be folded for easy transportation and storage. 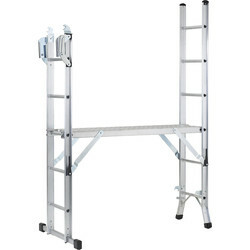 It is fitted with stabiliser bars for safety and has a maximum height of 3.38 meters. 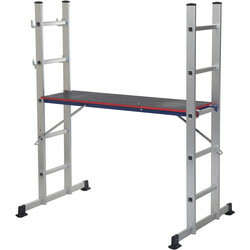 For a quick set up, the Youngman combination ladder doubles as a complete platform and ladder system that's easy set up and use. 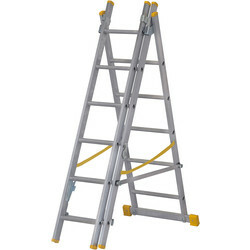 We also stock the Youngman multi purpose ladder. 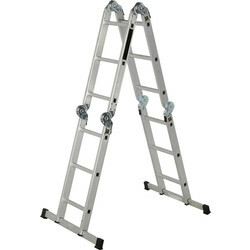 This handy step ladder is complete with a simple "click-lock" hinge system to securely hold the folding ladder in place. Spend over £10 online to receive free delivery or click and collect from your nearest branch.